The Sharpie Art Gallery invites you to a Sunday afternoon filled with garden inspired local art, flowers, and tea. Garden party attire is optional, but encouraged! You are welcome to walk across the street to the beach and enjoy the sunset after the event. Come sample and learn about a variety of wines specifically chosen to compliment the spring season. 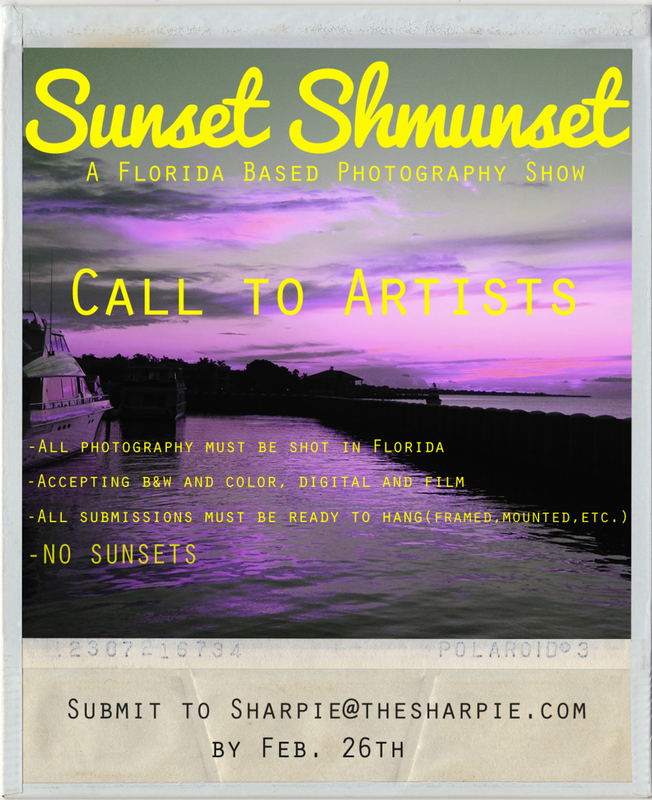 If you missed the opening, our Florida photography show - Sunset Shmunset is still on display. We will be having an all day event commemorating Earth Day 2018! Come celebrate Earth Day by the beach! We will start the day with a beach cleanup and provide a vegan friendly lunch to participants, followed by an up-cycled bracelet tutorial, and a sunset paddle to end the day. For $10 you will learn how to make your own your own bracelet. Beads are handmade out of discarded grocery bags. For $20 we will provide you with a paddle board to take through the canals of Treasure Island. **The timeline is more of a guide. Activities may be shortened/changed due to inclement weather, beach cleanup happening quicker than anticipated, etc. **Water will be provided from the beginning of the day at the Sharpie, but we recommend bringing your own reusable bottle (glass not allowed on TI Beaches) to take on the beach to stay hydrated. Sunscreen is also recommended as we'll be in the sun for a good portion of the day. Join us for our first exhibit of 2018! The Sharpie Show features works by artists such as Sebastian Coolidge, Kurt Wright, Heather Jay & more! All work done primarily in Sharpie marker. Admission is free with music by Shonny Mnemonic. Wine Tasting & Art Sale! Sip on wine as you browse our holiday sale. For tonight only, all paintings, jewelry and wine racks by artist Calvin Ray Davis are 50% off! Meet the artist and get your holiday shopping done with a one-of-a-kind gift! Wine starts pouring at 6pm! Cheers! Accepting submissions of drawings, multi-media, sculptures, and more!